…as if from nowhere – SHAZAM! Half-a-pair-o-Hedera! Yeah, that’s right. I’m posting because I finished one sock. 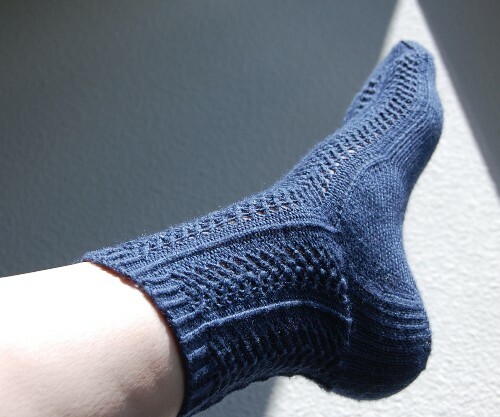 It’s my first whole adult sock ever – and took more than two months for me to complete – so I think it merits it. It doesn’t fit very well; it’s a little snug, but check it out, there’s a ton of yarn left from my skein of Gloss. I am SO bad at starting new projects when I am in the middle of an old one. I get bored, or I come up with great new ideas. I got myself to a point of no (or very few UFOs and then I started on so many new ones that I can’t even think of all of the projects I have going.) –That was a lot to put in ()s!! Ooh! Impressive, very impressive, – but they are not a pair yet. I gotta show Grandma Jean – her e-mail is down. Love you! Lovely sock! 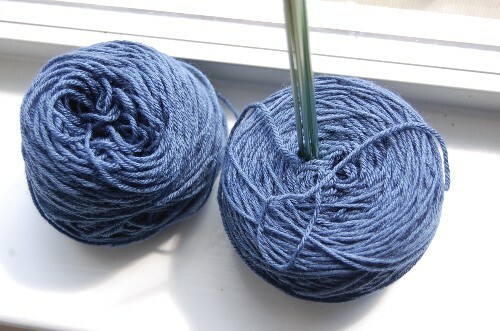 I’m thinking of trying to knit some socks, but I have so many other projects I want to do. I just know I’d do the same thing- finish one and then start something else.